We love Rush. Oh yes we do. Thanks, Grandma Kate! Austin is obsessed with Rush. And drums. 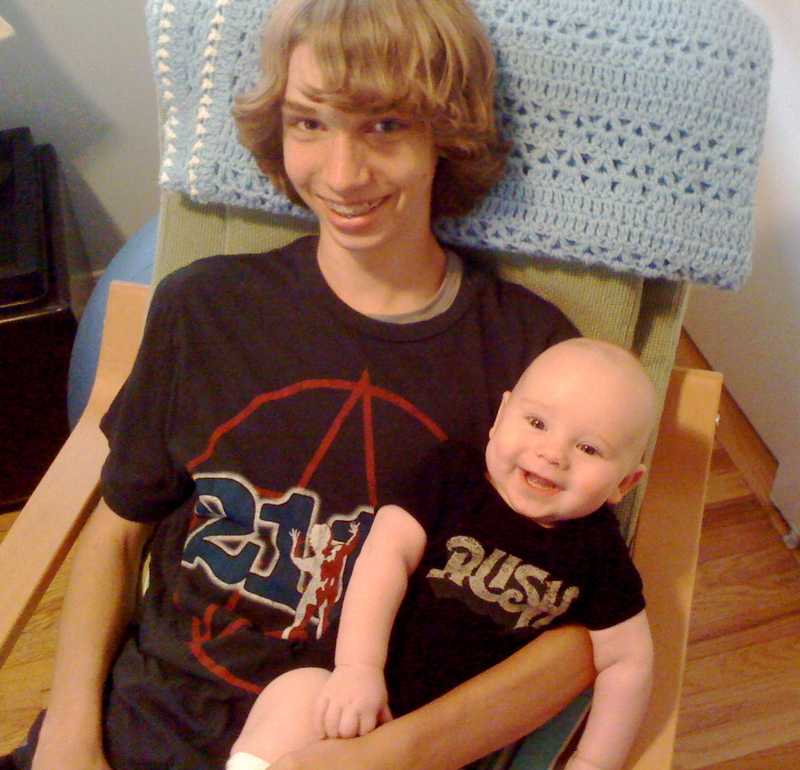 He’s going to the Rush concert on June 20, after he turns 16 (!) on June 13. Ian will not be going to the concert, although he would make a pretty cute mascot. This week, Ian got to try out Mila’s bouncy. Below are his initial thoughts, followed by a little more action. We are so buying one of these.